So this time of year Mom starts her epic baking spree … Yes she starts backing this time of year and doesn’t stop until after the first of the new year. I love it because I am 21 and ALWAYS hungry. This year Mom has decided that she is going to go back to making all the cookies and stuff she used to make when Sister and I were just kids. This could be fun but then again I have to try some of these cookies again before I say anything. Mom started with Chocolate Chip. Those were perfect of course. Then she moved on to one she hasn’t made in a long time as they are close to sugar cookies and sugar cookies can be decorated so to save time Mom at some point cut back to just making sugar cookies. The cookie is a Spritz cookie. And I LOVE them. They are small but that didn’t seem to bother me I ate like 6 dozen watching an old western movie. So far Mom has made 16 dozen and given some away but the rest were for ME! Then she moved on to Meringue Cookies. One of Mom’s favorite sheep is named Meringue. Mom loves the Cookies too. Anyway, Mom has a couple of friends that have to watch their sugar intake. 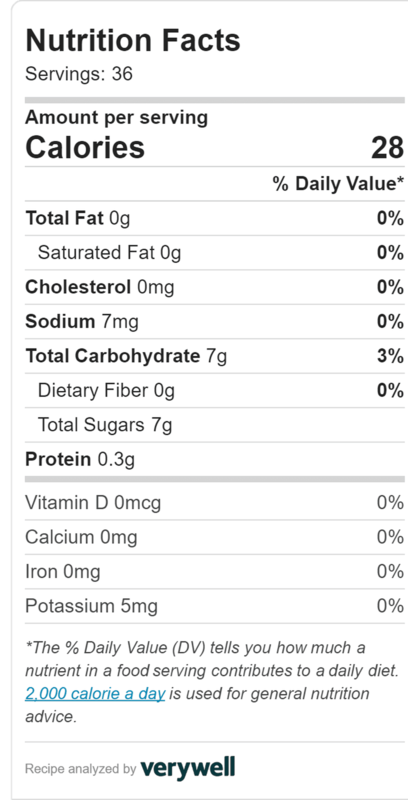 So on all her recipes she is using an online calorie and nutrition calculator to see just how much of each cookie, if any, they can have while keeping their sugars in check. Surprisingly Mom found that her old fashioned recipe only has 28 calories per a cookie and only 7 grams of sugar per a cookie. That means most diabetics can use this cookie as a sweet snack if they control the rest of their intake. Mom and two of her friends were super excited by this … Check it out … This is the actual info on the break down of the recipe.